My first joint paper with Professor Mourad Ismail. This has been a most interesting collaboration. Mourad taught me what to do on the sidelines of a series of meetings around the world. 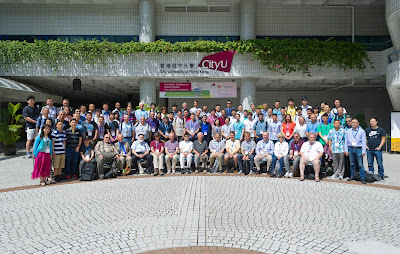 Most of these meetings were organized by the OPSF activity group of SIAM, one of the most interesting and diverse group of mathematicians and physicists. It began with a couple of meetings in Maryland in July 2016. The next one was in Hong Kong in July 2017, followed by a week long visit of Mourad to Austria (Oct 2017), where he gave me an exclusive, one-on-one, tutorial. Next we met in a summer school on $q$-series in Tianjin university in July-Aug 2018. Finally, we finished up things when I met him in Baltimore at the joint AMS meetings (Jan 2019), followed by a weekend trip Orlando, right after visiting UF in Gainesville. This work was presented in Baltimore in a special session on continued fractions. I hope it is the first in a series on Orthogonal Polynomials. There is much to learn and much to do. Here is a link to the preprint on ArXiv. We study orthogonal polynomials associated with a continued fraction due to Hirschhorn. polynomials obtained has an absolutely continuous component. We find generating functions, asymptotic formulas, orthogonality relations, and the Stieltjes transform of the measure. Using standard generating function techniques, we show how to obtain formulas for the convergents of Ramanujan's continued fractions, including a formula that Ramanujan recorded himself as Entry 16 in Chapter 16 of his second notebook. Here is a picture of Mourad with me in Tianjin (July-Aug 2018). 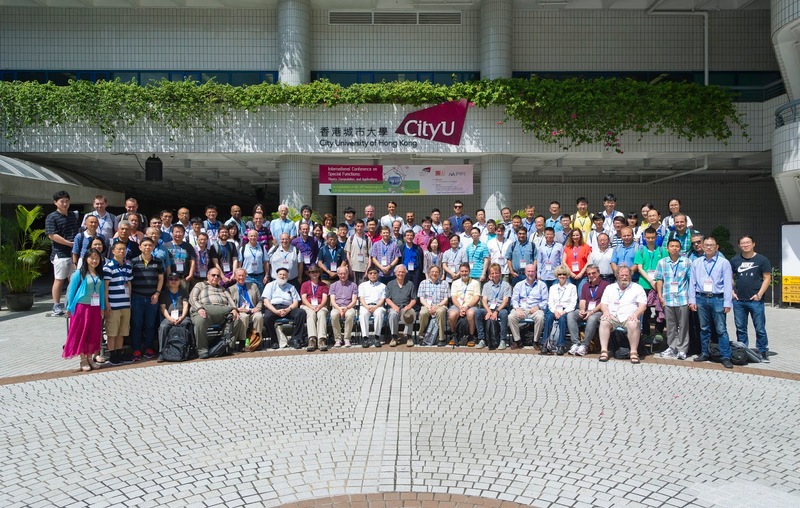 The picture below is the conference group photo from Hong Kong (July 2017). Mourad is seated in the front row second from the left. Many of the leading lights of the OPSF world are in this picture.